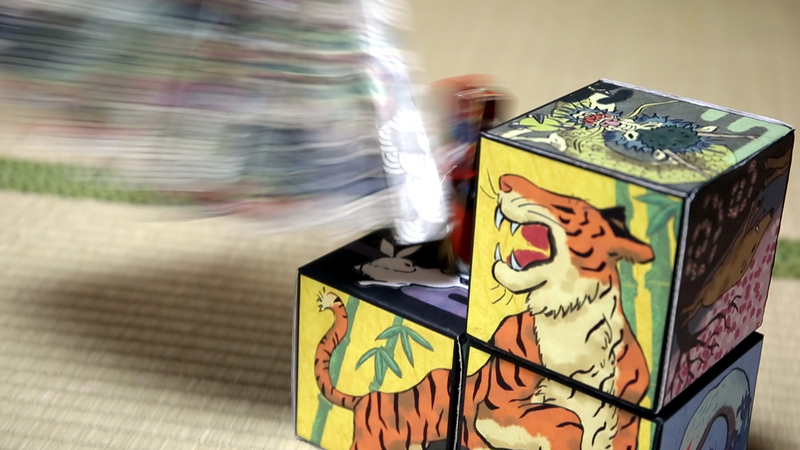 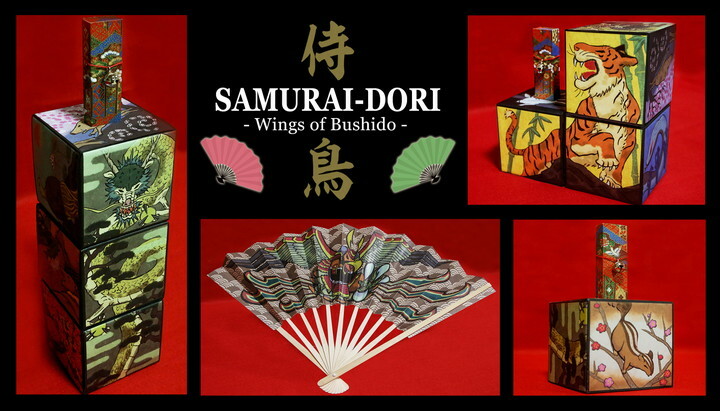 A beautiful dexterity game about throwing fans at targets – a traditional Japanese game made easier for family use. 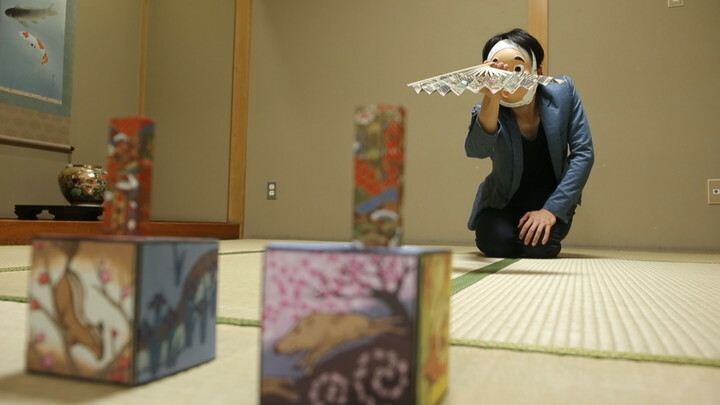 “To-sen-kyo”, a traditional game that’s existed since the Edo era, is about throwing a fan at a target, trying to get it to topple. 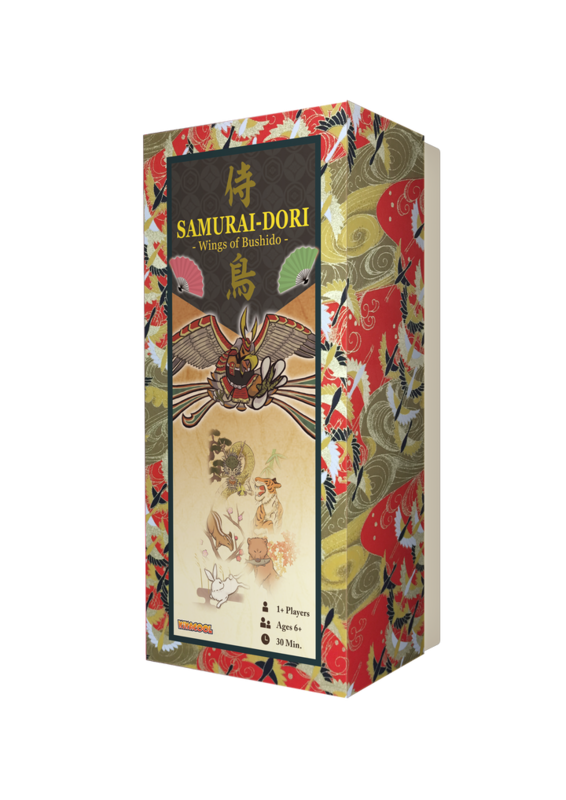 Samurai-dori makes this simpler, and is playable for everyone. 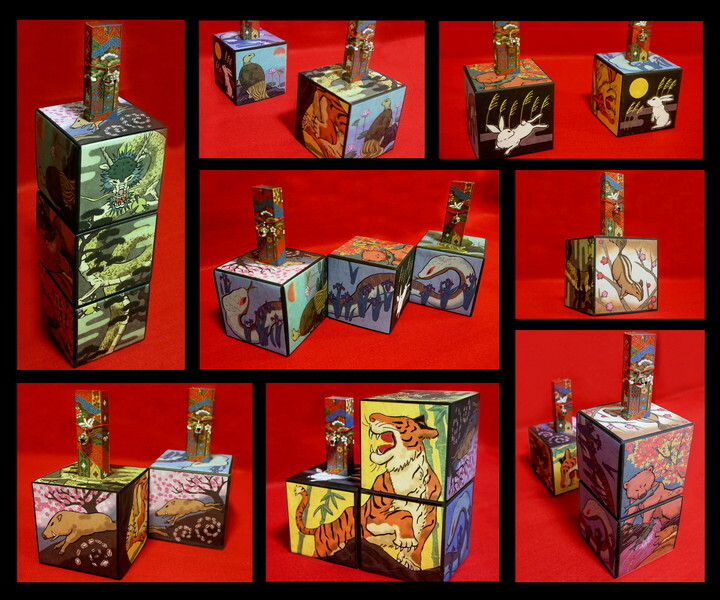 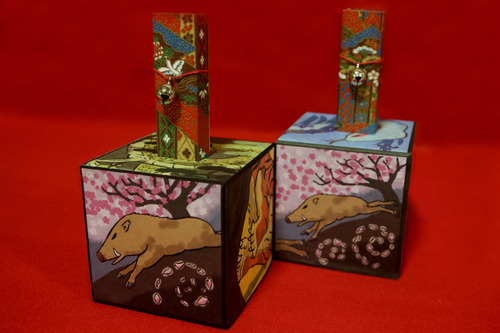 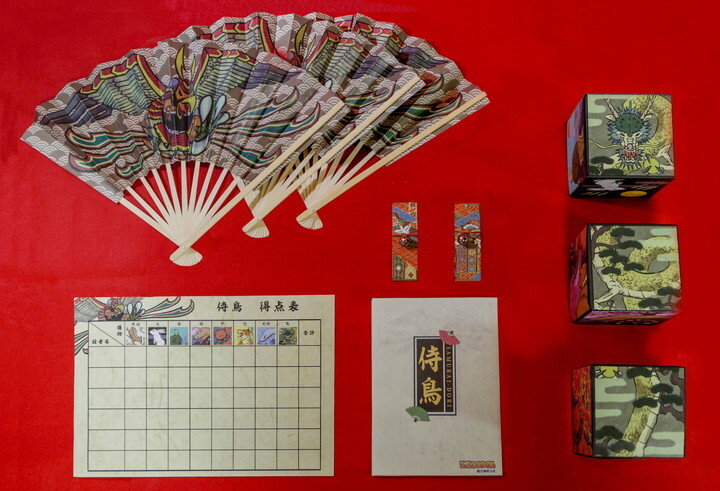 The box and the target are animals, and the fan is a bird of prey – the one who has felled most animals wins. 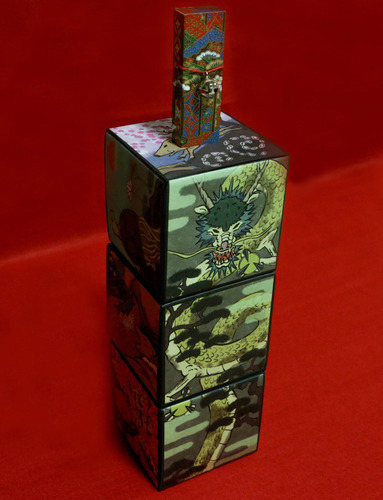 By combining the three boxes, you have a total of 8 stages to play on. 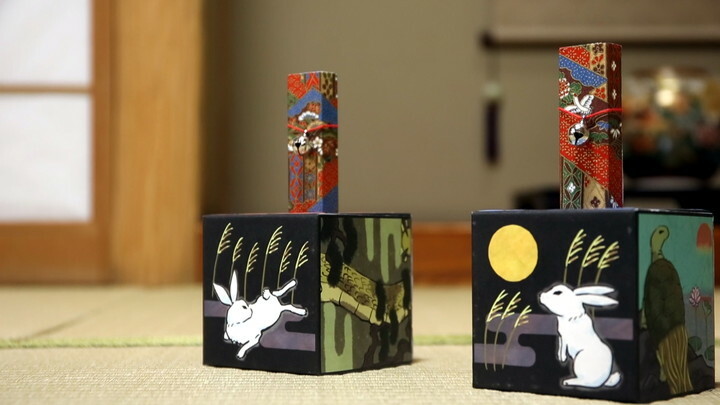 It’s simple yet deep, and can be played by all ages.